I was raised in this print shop. I started cleaning floors and doing hand work (insertions and putting books together) at age fourteen. With the exception of four years in the Air Force and delivering newspapers as a child, this is the only place I have ever been employed. I have worked in every department in the shop. My grandfather, Ken McClain, started this company in 1958. Dad (George Smith, Jr.) took over in 1971. In 1984, I returned from active duty and operated a press for a couple of years. In November 1985, the town of Parsons including our business experienced a devastating flood. At that point, I agreed to come to the office and help Dad manage the business. Dad and I shared duties for several years. By the early 1990s, I had taken full control of the commercial printing part of the business and Dad continued to handle the publishing end until his retirement. Shelly now handles that part of our company. Our family has always believed in buying quality equipment for our employees to operate and although we would like to take credit for the success of this business, it is our staff that makes us look good. I have been employed by McClain Printing Company since May of 1986. In my employment with MPC, I have worked within all facets of the printing business including driving delivery trucks, bindery work, press operations, pre-press and management. In my current position as production manager, I have many roles in the day-to-day operations of business management. My years of experience in all forms of the offset printing industry allow me to address our customers’ needs and concerns regarding their printing project from start to finish. With almost twenty years at McClain Printing Company, I have had the great fortune to work with many talented and interesting authors who have chosen to have their works privately printed here at MPC. When I started working here, my title was editor and proofreader. That was really hands-on work from beginning to end. Now most of our authors supply their books on disk and just need to be formatted before going to press. From West Virginia regional county histories and Appalachian folklore books to books of poetry and memoirs, I have assisted our clients to make certain that they have a finished product on which they can be proud to see their name printed. When a customer first inquires about the procedure, cost and services offered when having a book printed at MPC, I determine the specifications necessary to give them an accurate estimate cost for producing their works. While typing and editing services are available at MPC, if they are not necessary, we move their project through the stages of production from pre-press, to proofing, printing, folding, binding and trimming until we have cartons of the finished product for our customers. In most cases, this is a first-time experience for new authors and I am there with you just a phone call or e-mail away to help you go through the process step by step. The last leg of our journey is marketing. I make your book available on not only this website, but also Amazon.com, Borders.com and Barnesandnoble.com as well as notifying our national distributor, Baker and Taylor, that your book has been printed and is available for resale. The great thing about McClain Printing Company that I believe sets us apart from other book printers, is that we are receptive to our clients and always ready to do the most that we can to have a happy customer. Our work is guaranteed and when it involves printing your book, you will be working with me not whoever happens to answer the phone. 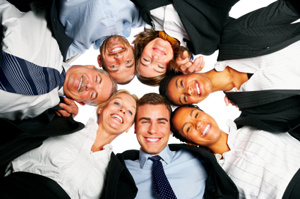 In most cases, our clients become our friends and we are proud to keep these relationships for many, many years. At McClain Printing Company, quality printing and binding go a long way in creating a marketable book for book stores, dealers and vendors. 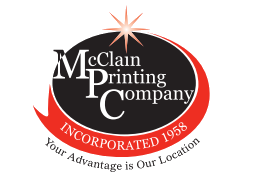 From start to finish, McClain Printing Company is here for all your editing, printing, binding, and book marketing needs. At McClain Printing Company, you have someone who is there for you every step of the way through the publication of your first or latest book.